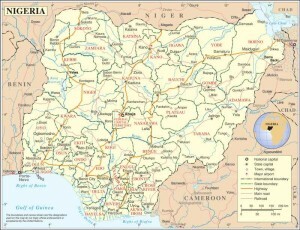 Nigeria (Huffington Post) — The suicide bomber exploded as truckers were tucking into dinner at the bustling marketplace where vendors urged them to buy sugar cane. At least 34 people were killed and another 80 wounded in Yola, a town packed with refugees from Nigeria’s Islamic uprising, emergency officials said Wednesday. Later Wednesday, two more suicide bombers killed at least 15 people in the northern city of Kano and injured 53, according to police. The blasts were the latest by Boko Haram, Nigeria’s home-grown extremists whose 6-year insurgency has killed 20,000 and forced 2.3 million to flee their homes.